Cis-4-Hydroxy-D-proline belongs to the class of organic compounds known as proline and derivatives. Proline and derivatives are compounds containing proline or a derivative thereof resulting from a reaction of proline at the amino group or the carboxyl group, or from the replacement of any hydrogen of glycine by a heteroatom. cis-4-Hydroxy-D-proline is a substrate that may be used to study the specificity and kinetics of D-alanine dehydrogenase. Cis-4-Hydroxy-D-proline synonyms: NSC 524341;D-cis-Hyp-OH;H-D-CIS-HYP-OH;D-CIS-HYDROXYPROLINE;CIS-D-HYDROXYPROLINE;4β-Hydroxy-D-proline;cis-4-Hydroxy-D-prol;D-ALLO-HYDROXYPROLINE;D-CIS-4-HYDROXYPROLINE;CIS-D-4-HYDROXYPROLINE.D-proline in which a hydrogen at the 4-position of the pyrrolidine ring is substituted by a hydroxy group (R-configuration). Trans-4-Hydroxy-l-proline is epimerized to cis-4-hydroxy-d-proline under the conditions generally used for the hydrolysis of proteins for analyses of amino acids. The cis epimer elutes from a column of UR-30 resin on a Beckman amino acid analyzer at the same time as threonine and hence would be undetected. About 8% of the trans-4-hydroxy-l-proline in collagen can be epimerized to cis-4-hydroxy-d-proline in the hydrolysis of collagen with 6 N HCl at 110° for 72 hr. In case of skin contact:Wash off with soap and plenty of water. In case of eye contact:Flush eyes with water as a precaution. A procedure is described whereby the primary amino acids in hydrolyzates are deaminated with nitrous acid and removed so that the amounts of trans-4-hydroxyproline, cis-4-hydroxyproline, and proline can be determined without changing the temperature of the column of UR-30 resin on the Beckman amino acid analyzer. 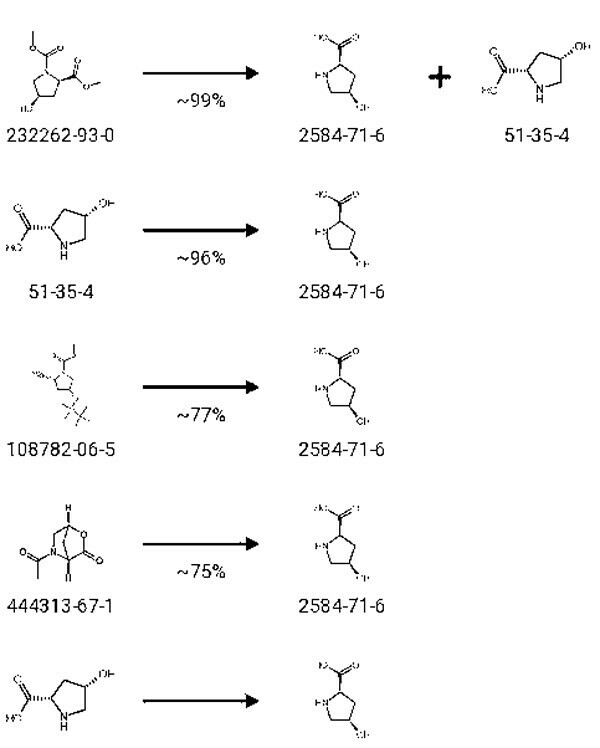 The hypO gene from Sinorhizobium meliloti, located within the trans-4-hydroxy-L-proline metabolic gene cluster, was first successfully expressed in the host Pseudomonas putida. Purified HypO protein functioned as a FAD-containing cis-4-hydroxy-D-proline dehydrogenase with a homomeric structure. 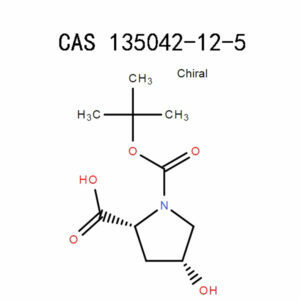 At APICMO, we synthesize Cis-4-Hydroxy-D-proline (2584-71-6) in large quantities for your research, synthesis, and development.Just like the rest of our products, this too adheres to the cGMP quality control and manufacturing standards. Cis-4-Hydroxy-D-proline (2584-71-6)is an organic compound, which falls in the class of proline and derivatives. Essentially, these compounds contain proline or its derivative arisingfroma reaction of proline at the carboxyl oramino group, or from the heteroatom substitution of hydrogen of glycine.Just as the name suggests, cis-4-Hydroxy-D-proline (2584-71-6) is a D-proline whose hydrogen in the pyrrolidine ring has been replaced by a hydroxyl group. This product triples as a metabolite, raw material, and a research tool.It is involved in synthesizing the derivatives of N-Benzyl pyrrolidinyl sordaricin and synthesis of restricted PNA adenine monomer. In research, cis-4-Hydroxy-D-proline (2584-71-6)is a significant study tool for analyzing the kinetics and the substrate specificity of D-alanine dehydrogenase and amino acid transporter PAT1. This procedure involves deamination and removal of amino acids in hydrolyzates with nitrous acid. The quantities of proline, cis-4-hydroxyproline, and trans-4-hydroxyproline are then determined without altering the temperature of the UR resin column on the Beckman amino acid analyzer. Epimerize trans-4-hydroxy-I-proline to cis-4-Hydroxy-D-proline under similar conditions as those used for protein hydrolysis for amino acidsanalysis. The cis epimer and threoninearesimultaneously washed out from the UR-30 resin on the Beckman amino acid analyzer. This is the sole reason why they go undetected. In collagen, approximately 8% of the trans-4-hydroxy-I-proline undergoes epimerization to cis-4-Hydroxy-D-proline in collagen hydrolysis with 6 N HCl for 72 hours (at 110°C). Cis-4-Hydroxy-D-proline (2584-71-6) has a wide range of uses. It is a raw material used toinvestigatethe specificity ofD-alanine dehydrogenase and amino acid transporter PAT1. Every 5g of this product is soluble in 100ml of water. 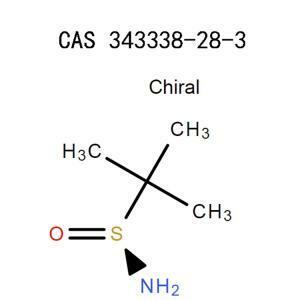 Cis-4-Hydroxy-D-proline (2584-71-6) is not so hazardous although we classify it as an irritant with a warning sign.In referenceto the hazard statement codes, the product has an irritating effect on the skin, eyes, and the respiratory tract.Besides, it isharmful if ingested. However, the damage, which cis-4-Hydroxy-D-proline causes is moderate compared to most of our products.A rough estimate of the percentage value of this product’s toxicity ranges between 30% and 70%.From these classification ratios, ingestion has the least value. In spite of this data, take maximum precautions without putting anything to chance,knowing that it is better safe than sorry. Handle this product only if you are qualified in dealing with potentially hazardous chemicals. If otherwise, work under the charge of an experienced user who is aware of the risks involved, precautions, health hazards, and all the information contained in this safety data sheet. Avoid breathing in the emissions evolved by Cis-4-Hydroxy-D-proline (2584-71-6), such as vapor, gases, or fumes.Additionally, smoking, eating, or drinking is not advisable since you might accidentally ingest the product. Lastly, only use it in a room with enough air circulation, else, do it outdoors. Wear full-body protective attires including safety gloves, eyeglasses, impervious footwear, face mask, and a respirator. Make sure all these gears have received full approval by the relevant bodies depending on your state or federal government. The US nationals abide by the NIOSH/MSHA standards while Europeans follow the EN regulation. There are several tools to put in place before working with a hazardous product. To put airborne concentrations under control, install several air cleaning devices and exhaust ventilation.Eyewash and safety showers come inhandy when there is a need for first aid and emergency treatment in case of body contact with Cis-4-Hydroxy-D-proline.Other significant equipment to equip in your workspace is a fume hood and extinguishing media. Remove the soiled clothes, launder them, and bathe thoroughly. Clear the workspace; do away with spillages, and dispose of everything including the used gloves and chemicals. Store the untouched product in its original location. Store this product in a dry, aerated, and cold place.The best condition is at room temperatures. Using the original package as the primary storage vessel, you should close it tightly, seal, and lock up to limit unauthorized access. Flush the eye with a lot of clean cold water for not less than 15 minutes. Make sure the eyes are open throughout the rinsing cycle and sporadically lift the lower and upper eyelids. If this emergency treatment can’t control the symptoms, seek immediate attention of a physician. Immediately take off the soiled clothing and footwear. Using plenty of clean running bathwater and non-abrasive soap, cleanse the area for about 15 minutes. Get help from a medic when the irritation becomes chronic. Either wash the mouth or take up to half liters of water, or both. Chemicals can be detrimental to the digestive system. Therefore, visit a poison center, doctor, or physician in case you feel uncomfortable or unwell. As a rule of the thumb, avoid administering anything orally to an unconscious victim. Transfer the person to fresh air. Support breathing with an artificial respirator. Consult a medical doctor if unable to manage the symptoms. When extinguishing fire resulting from this product or a secondary source, use dry chemical powder, CO2, water spray, or chemical foam. Heat causes Cis-4-Hydroxy-D-proline (2584-71-6) to decompose and generate potentially harmful fumes. Therefore, it is advisable to put on self-contained gears for personal protection. Do not release cis-4-Hydroxy-D-proline (2584-71-6) into the environment. Contain the spills to keep them from entering the standard watercourses.Pick up the powder chunks and use an absorbent like vermiculite or sand to soak up the liquid spillages.Gather these waste products into a labeled airtight container and dispose of with regard to the local, state, or federal waste disposal regulations. Avoid exposing Cis-4-Hydroxy-D-proline (2584-71-6) to high temperatures or strong oxidizing agents. At such conditions, this product decomposes into hazardous oxides of nitrogen, carbon monoxide, and carbon dioxide. Dispose of cis-4-Hydroxy-D-proline in a manner that’s consistent with the local authorities. Cis-4-Hydroxy-D-proline is non-hazardous regardless of the shipment method used. 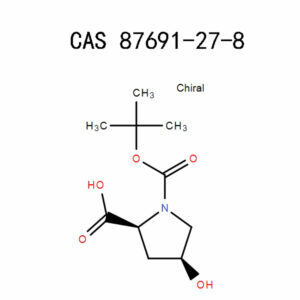 Cis-4-Hydroxy-D-proline (2584-71-6) is not hazardous, and neither does it contain dangerous mixtures, components, or substances.However, we advise that you seek counsel from your state, federal, or local authorities governing the use of chemicals. APICMO prides in a team of research scientists who have in-depth expertise in material and life sciences, analytical chemistry, chromatography, and many more. We dispatch Cis-4-Hydroxy-D-proline (2584-71-6) in large and smaller quantities. Would you require the product in bulk, feel free to get in touch with our responsive customer care. Register for an account with us, log in and view the pricing. National Centre for Biotechnology Information, US. 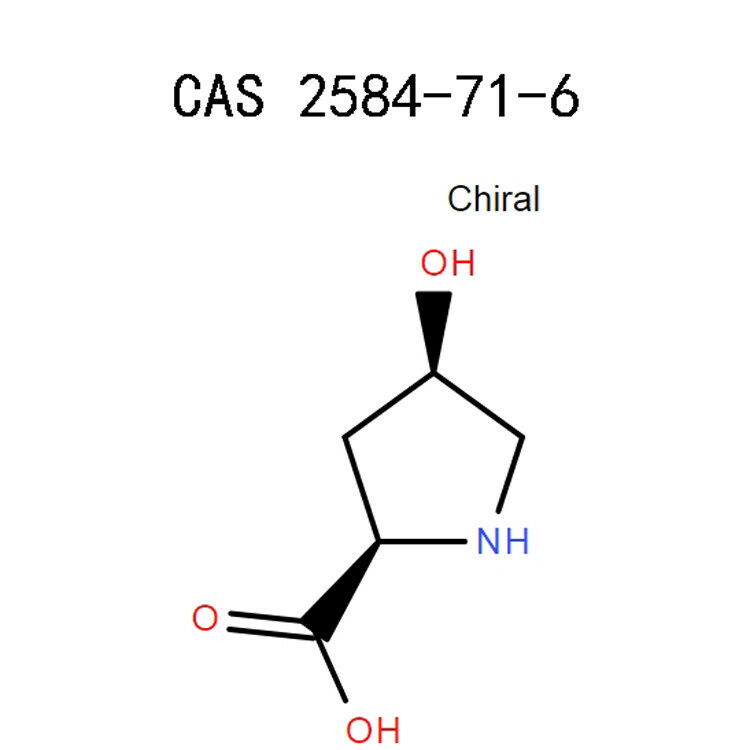 National Library of Medicine, PubChem,Cis-4-Hydroxy-D-proline (2584-71-6), Sections 1-9. Cynthia A. Challener, Wiley, 1 Sep 2001, Science, Chiral Intermediates page 470-476. Carl L. Yaws, William Andrew, 11 Dec 2008, Technology & Engineering, Thermophysical Properties of Chemicals and Hydrocarbons, page 700-705.